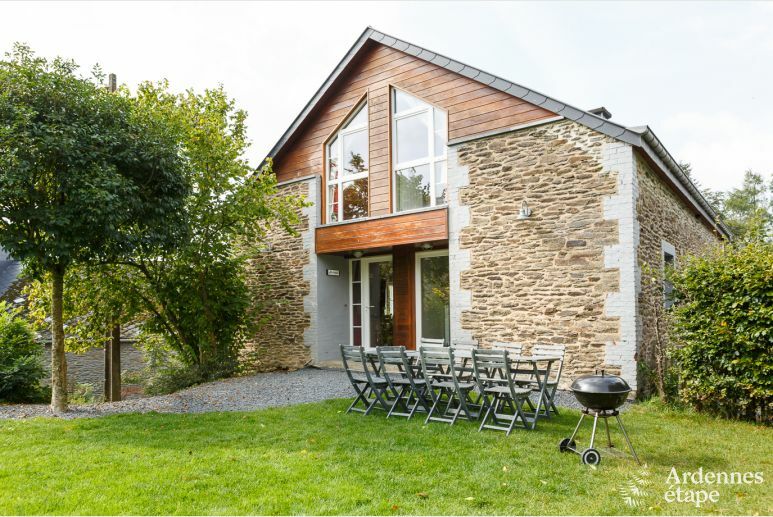 In a small corner of greenery, in the heart of a charming little village in the Ardennes , this holiday home awaits you, which is the ideal base to explore the region. 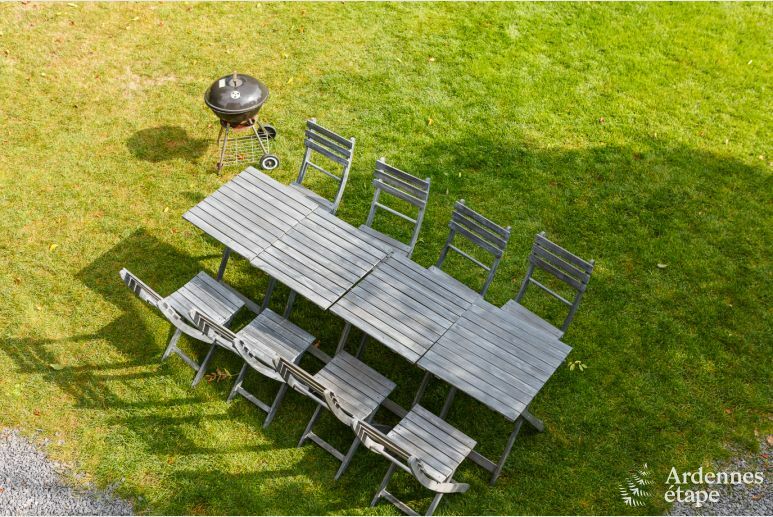 Organize a beautiful barbecue evening as soon as the warm weather arrives. 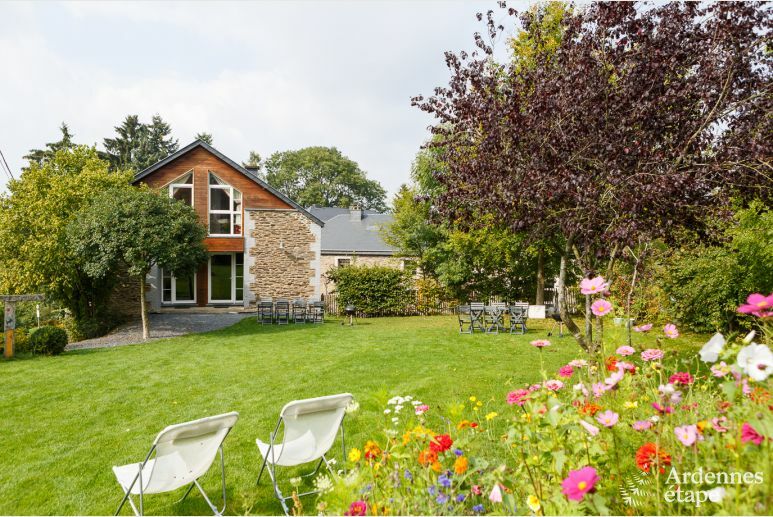 Stop by the small village of Achouffe, located near your holiday cottage, to taste its world-famous beer and discover all the secrets of its production. 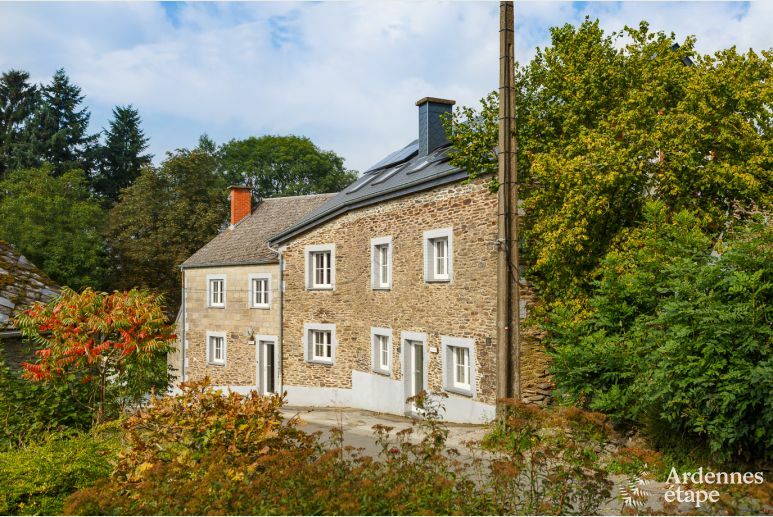 In a small corner of greenery, in the heart of a charming little village in the Ardennes, this holiday home awaits you, which is the ideal base to explore the region. 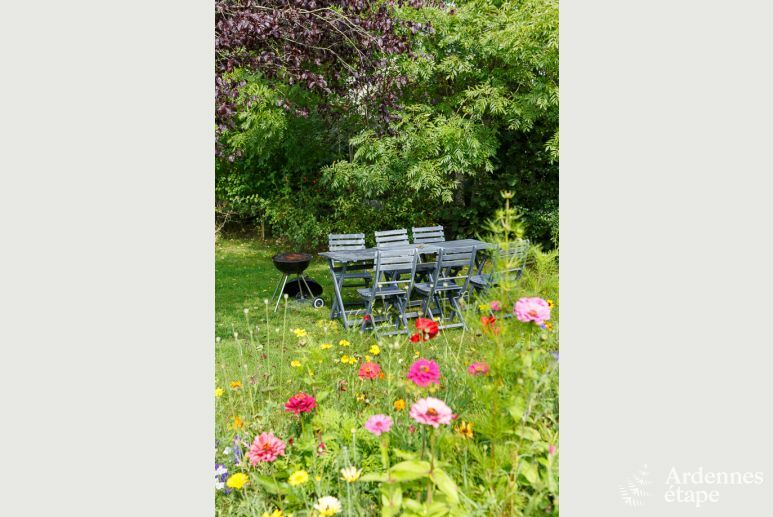 With its outdoor area and its large well-appointed rooms, this house is the perfect setting for a great family holiday in the countryside. 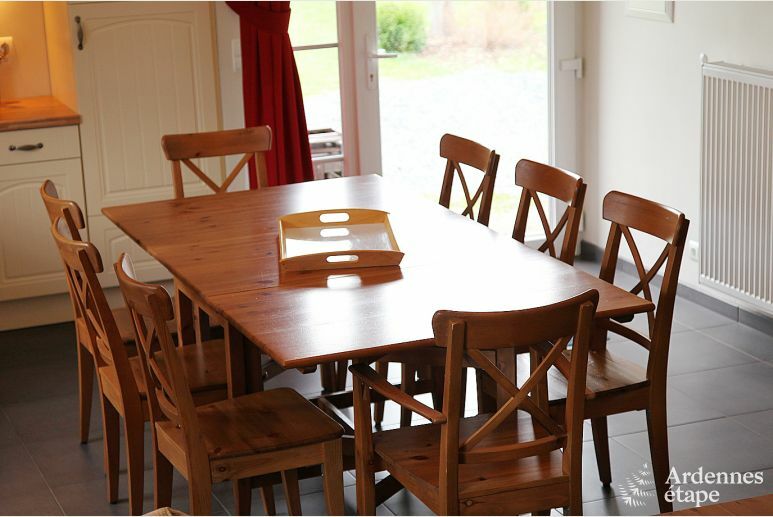 On the ground floor, you will find a comfortable lounge and a very bright dining area, where you can enjoy the pleasure of sharing a good meal. 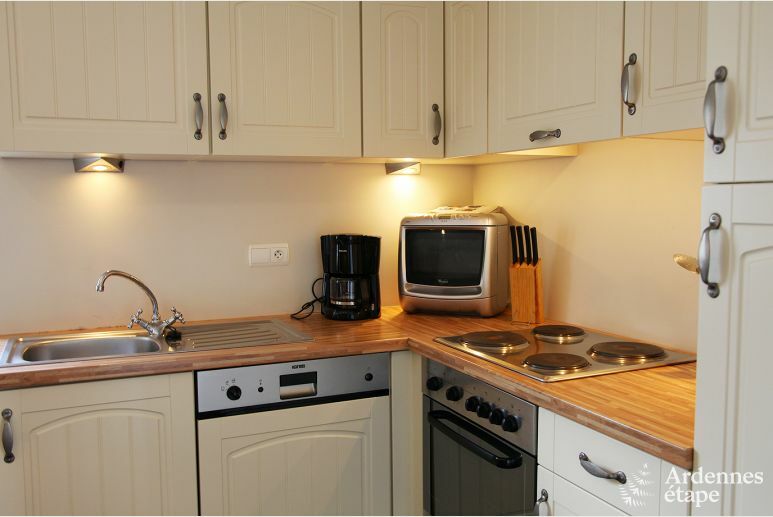 A fully equipped kitchen is also at your disposal and will allow you to prepare some good food for everyone. 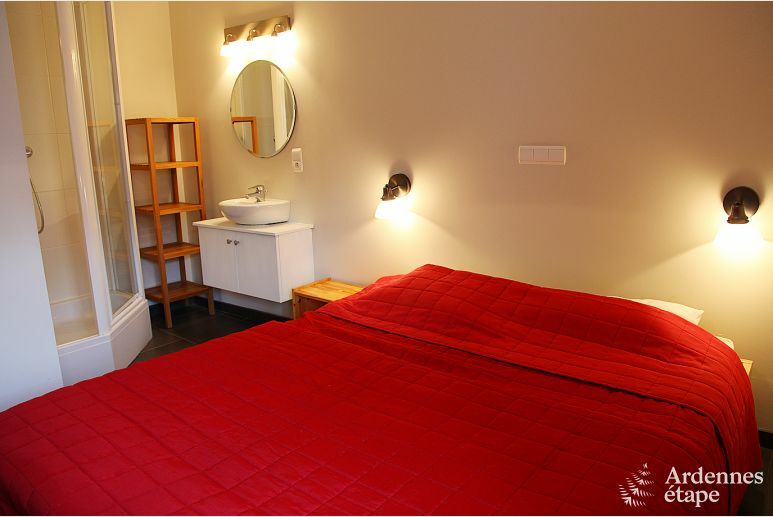 Also on the ground floor, you will find a nice bedroom equipped with quality bedding and a private bathroom. 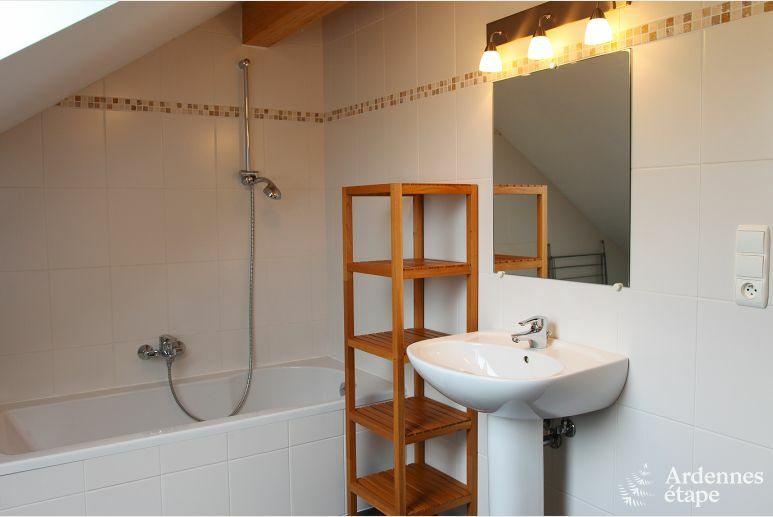 The other two bedrooms are located upstairs along with a second bathroom. 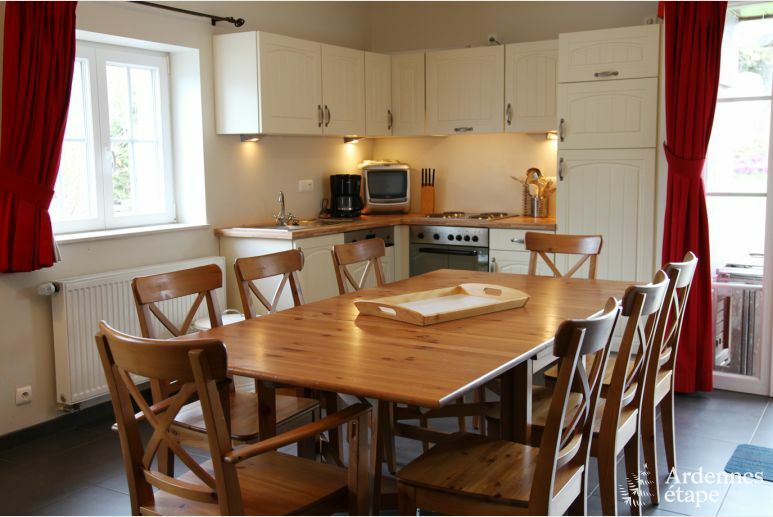 The holiday cottage can host up to six people without difficulty. 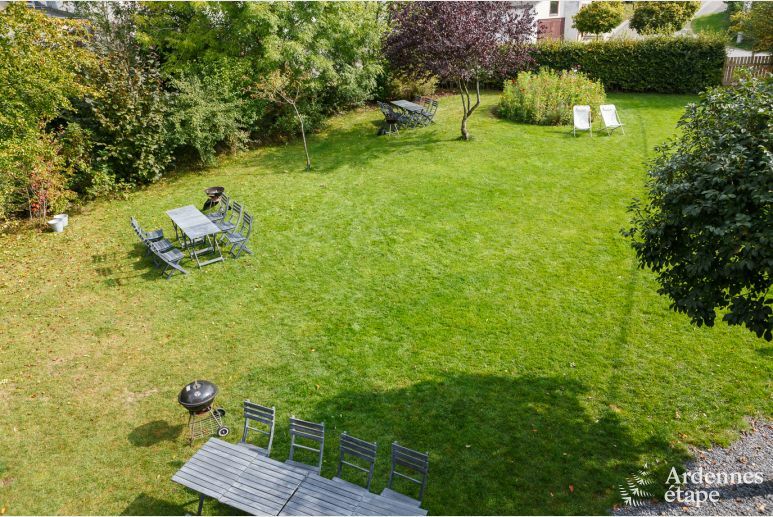 Your children will have fun discovering a large playground in the garden, which is spacious and well maintained, and it is also a place of rest and peacefulness with its terrace and barbecue. 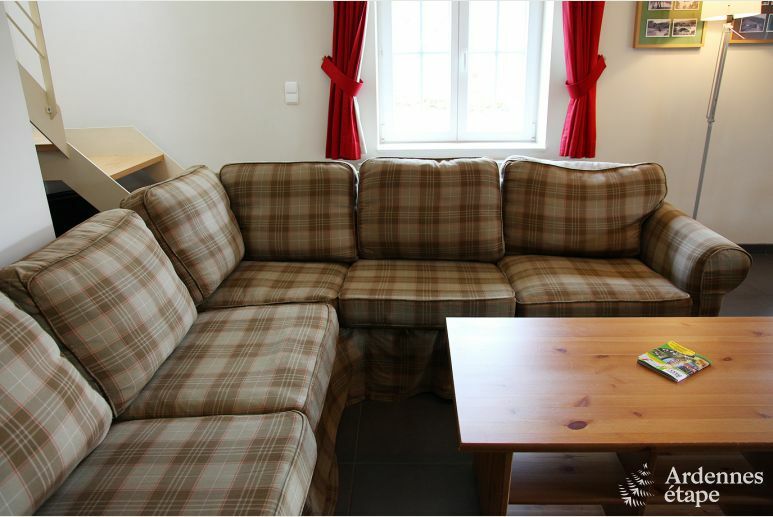 You will be staying in an ideal location to enjoy a beautiful tourist offer and the many activities available in the surrounding area. 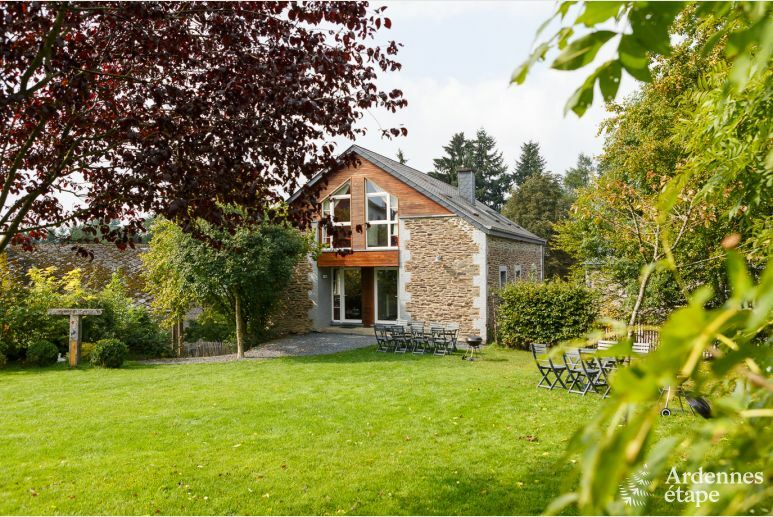 Climbing, mountain biking or kayaking are just a few examples of the activities awaiting you at Moulin Bock, the must-visit leisure centre in the area. 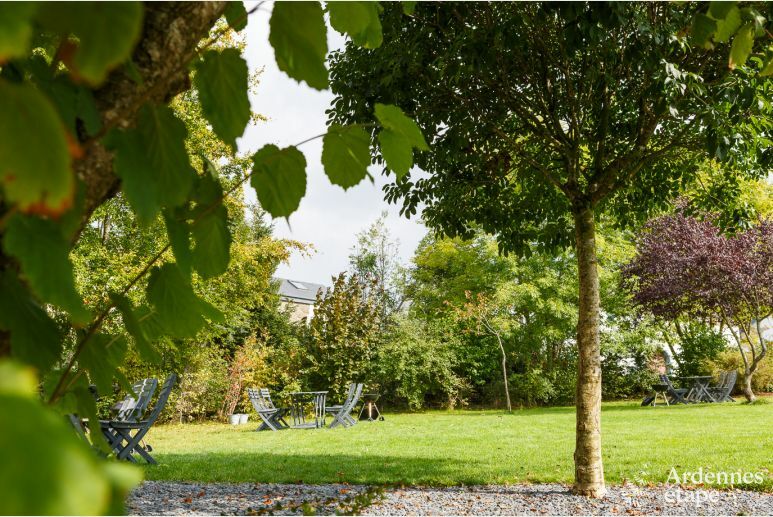 If, after all, you still want your dose of adrenaline, go to Paintball des Cheras for a wild session in a beautiful natural setting. For a more family-friendly outing, head to the Bisons Farm, where you can closely admire these great impressive cattle, which are rather rare in our region. 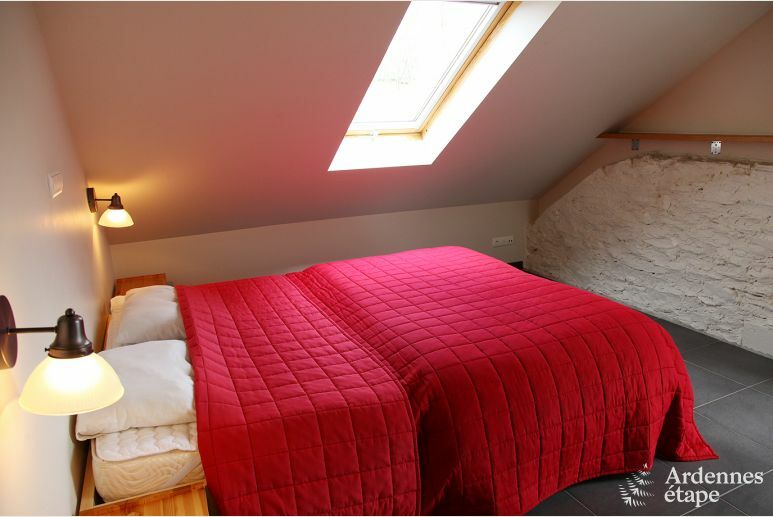 Finally, you should not overlook one of the treasures in the region, since La Roche-en-Ardenne, with its magnificent museums and monuments, is located only a few kilometres away. 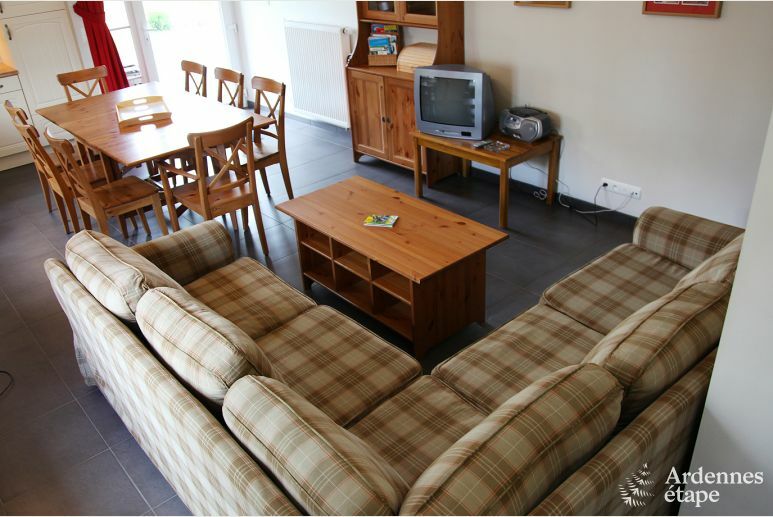 Book now this beautiful holiday home for a delightful stay with your family in the area of Houffalize.